Our Bed Bug Kit includes all of the professional–strength products necessary to do a thorough and complete bed bug treatment in your home, apartment or other residential location (1500 Square Feet of living space) for an 4-month period of time. 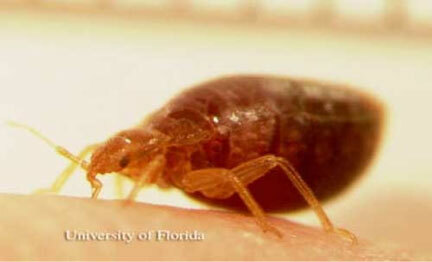 Bed Bug Control is NOT a quick-fix situation! You will be treating with a combination of products on a REGULAR SCHEDULE and diligence is REQUIRED on your part, to maintain that control. One single Bed Bug left untreated can result in a re-infestation! We have to be honest with you…this is your worst nightmare if this pest is not brought under control. It will affect every part of, not only, your life, but the lives of family, friends and associates. This is serious business, BUT, CAN HELP. As a State-Certified Pest Control Operator, I will provide you with complete, in-detail instructions so YOU will be getting SAFE and EFFECTIVE results at a small fraction of what it would cost to have a Professional Exterminating Company accomplish this task for you. These types of applications can range from $300-$500 per room, to get any type of guarantee whatsoever. As a professional, I will be guiding you step-by-step through the process and you will be using the “tools of my trade”. You can rest assured that the application WILL WORK and that your family, pets and home will be safe in the process. We reserve the right to change the Kit Contents if current research proves that the Bed Bugs have started to build a resistance to the chemical components of the Kit. We stay “On Top of Our Game” so you don’t have to. ALL insects become immune to chemicals over extended use and our Kits will ALWAYS contain the Industry Standard Professional Products. You will be using a combination of a Liquid Concentrate (makes 10 gallons) an Insect Growth Regulator (4 month supply), An Insecticide Dust (w/built in applicator nozzle) and will have a Ready-To-Use spray on hand to knock down any live Bed Bugs you may find in between your regularly scheduled treatments. Please understand, Bed Bugs are a serious Public Health Pest! They “hitchhike” their way into your homes from anywhere, anytime. NO ONE is exempt from this life-changing pest. Rich, poor, clean, dirty—makes no difference! Attempting to eradicate and control this pest WILL NOT BE POSSIBLE with over-the-counter remedies or Online “quick fix” solutions. It’s Buyer Beware when it comes to purchasing retail-type products and there is SO much more involved that just spraying something around and getting rid of the infested bed! You CAN do this. We are here to help you ever step of the way. We are a phone call or e-mail away and you can depend on the Professionals at Pest Control General Store. This Kit is not available for sale in CT or NY.